View cart “Essential Assessments (and free Fascia & Flexibility Lecture)” has been added to your cart. Save $$ when purchasing all 3 levels! 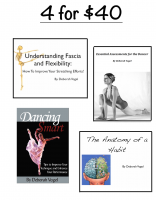 FUNctional Anatomy for Dancers is a series of teaching guides written for dance teachers, by dance teachers. The lessons and exercises have been used and fine-tuned in dance classes across the country. Teach your students how to be smart dancers through bite-size anatomy lessons designed for the classroom! There are 3 levels. Each level is designed to stand-alone. The curriculum series layers the levels to follow a natural progression of building knowledge from basic to more specific and challenging lessons. The series is designed for dancers over the age of 10. Deborah, I am writing to thank you for your insightful and helpful answer to a question that I had sent, specific to one of my male students. Thank you for the specific exercises which we have added to his daily workout and have seen strength gain in his center and placement improvement. I am so thankful that I have found your newsletter as well as your many resources. 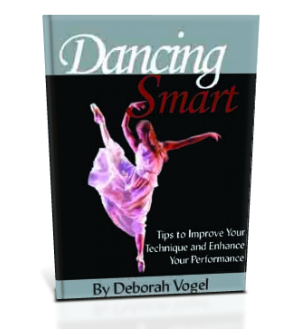 I use your Functional Anatomy For Dancers curriculum as well as several of your books regularly. They have proven too be very helpful in teaching young students as well as giving me practical ways to asses turn out, turn in , placement deficiencies and much more. 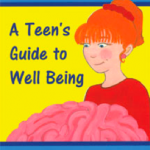 I use all your dvds, books, blogs, and manuals daily to help my dancers become more intune with their bodies. I know if they understand their bodies more they will become better dancers, because they will not be frustrated by the mechanics of the movement, lack of flexibility, and injury. You have educated so many students and teachers by making the education of anatomy user friendly. My students love the handouts I give them every week from the “Meet Your Body.” My advance students are now on the third Level ” Your Body in Dance Movement Patterns.” They really enjoy analyzing movement patterns. They love the Pinkie Balls the best! I see a real difference in their flexibility when we use them. They use them on their own and know exactly where on their bodies they are going to get the most benefit from the balls. They are more relaxed when we incorporate them in class making class more enjoyable. They always ask to do the “Miracle Stretch” from the DVD ” Analyzing Arabesque” . We test their arabesque height before and then after the streches and wow what a difference there is in their leg height. Please continue making these wonderful products available to the dance world. I teach dance in high school and am always looking for written activities for my students. I have been using Functional Anatomy For Dancers: levels 1 and 2 with my students. Each activity is simple to follow and short enough that I can still teach technique within the hour. Now my students are learning about the body not only through movement but also through written work. It also gives me the opportunity to gain marks through written work.